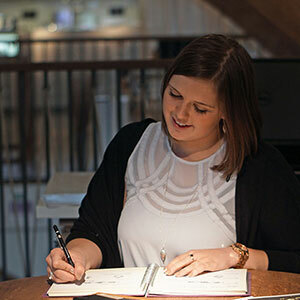 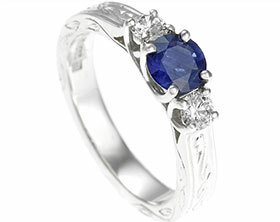 Anthony and Lisa had a family sapphire that they wanted to use as the central stone for their engagement ring. 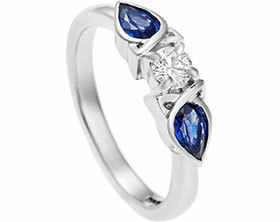 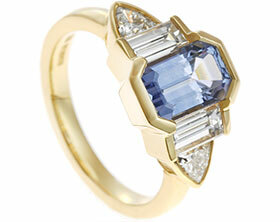 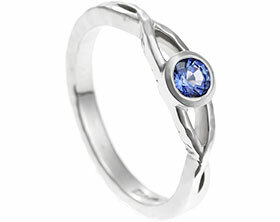 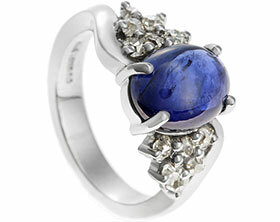 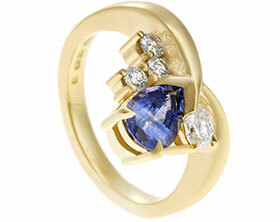 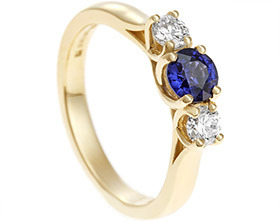 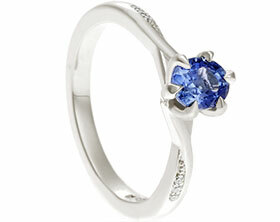 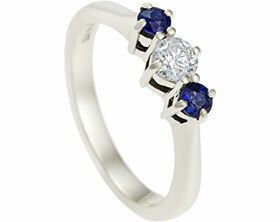 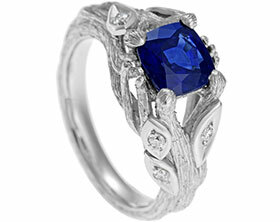 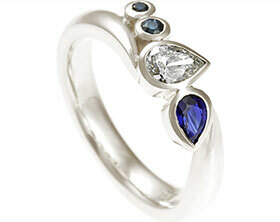 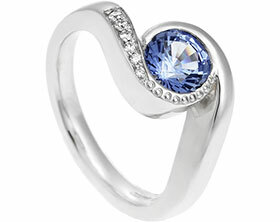 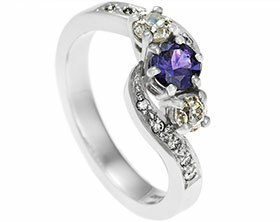 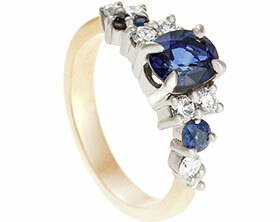 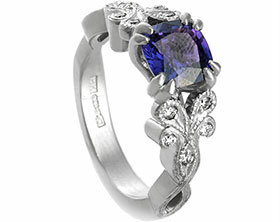 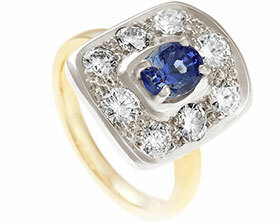 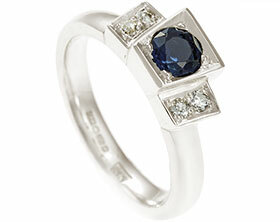 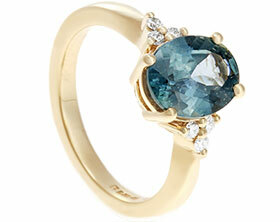 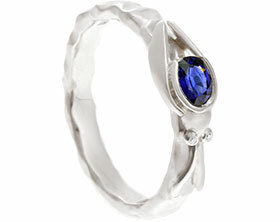 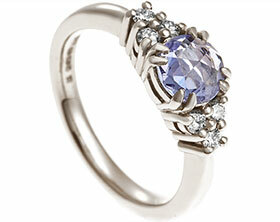 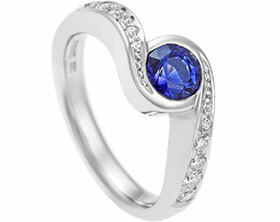 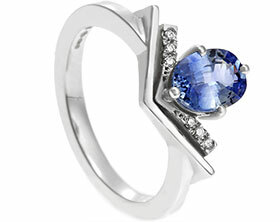 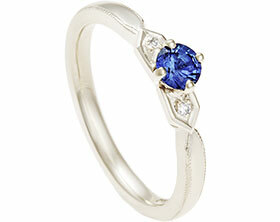 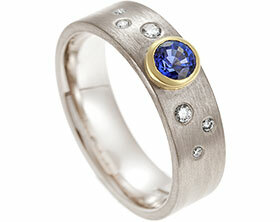 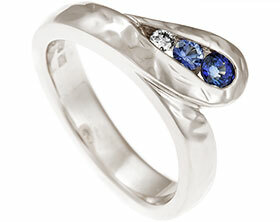 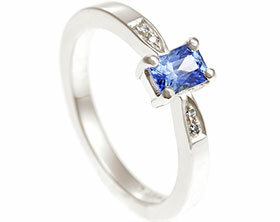 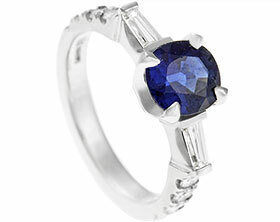 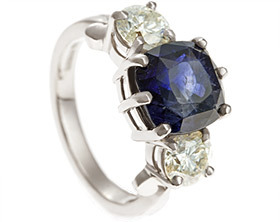 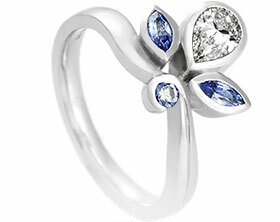 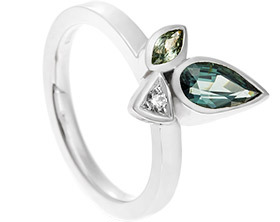 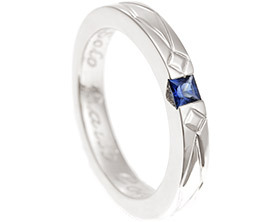 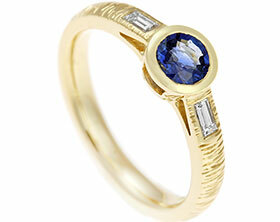 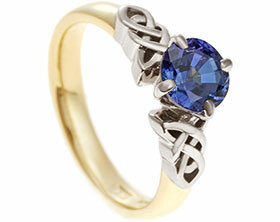 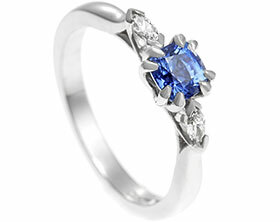 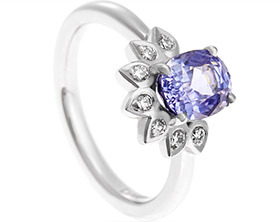 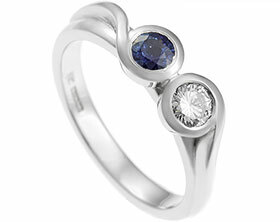 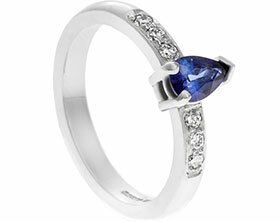 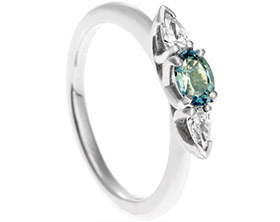 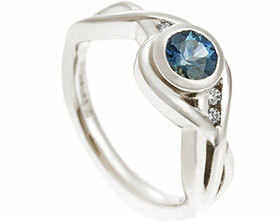 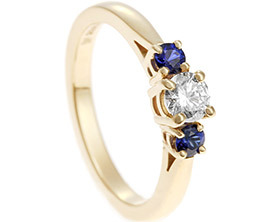 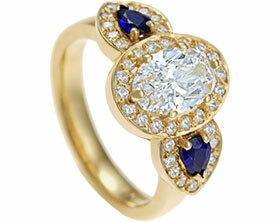 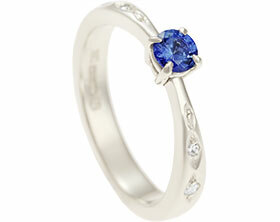 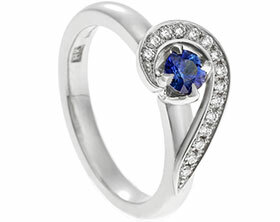 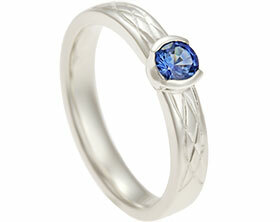 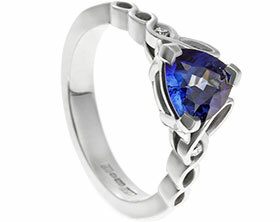 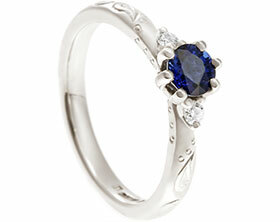 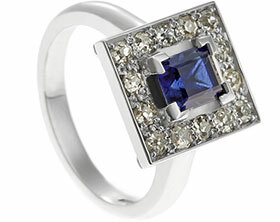 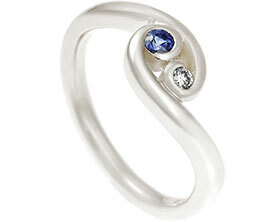 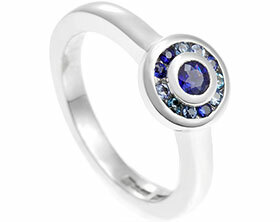 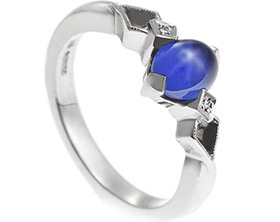 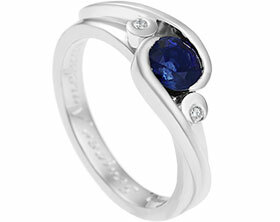 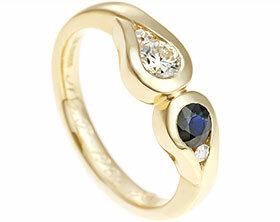 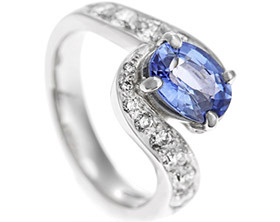 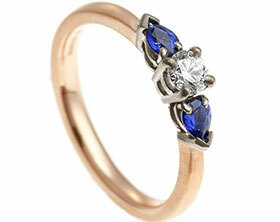 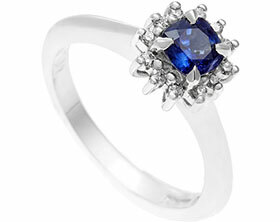 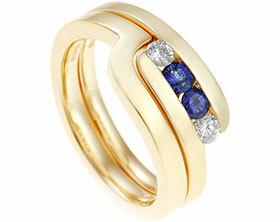 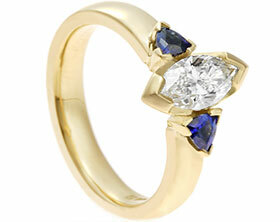 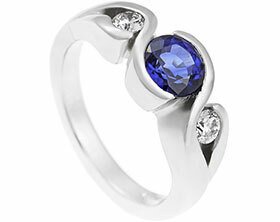 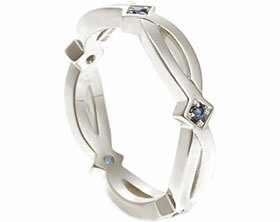 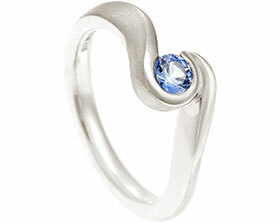 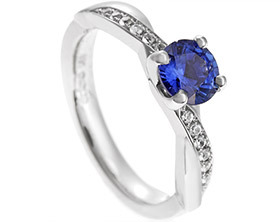 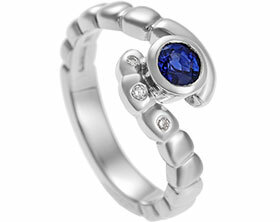 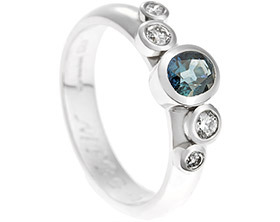 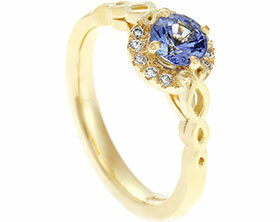 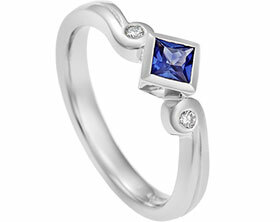 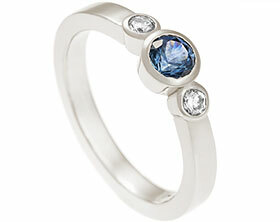 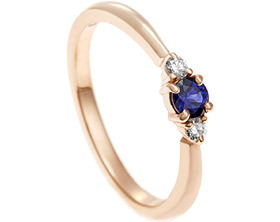 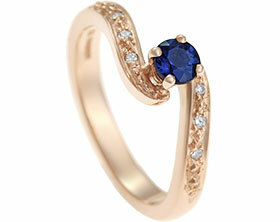 To complement the dark sapphire a diamond was claw set either side of the central stone creating a striking trilogy. 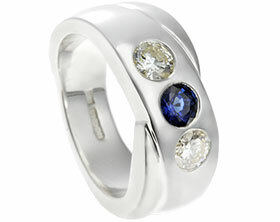 This beautiful trilogy of stones sits in the middle of the palladium band which holds channel set diamonds decorating the shoulders of the ring. 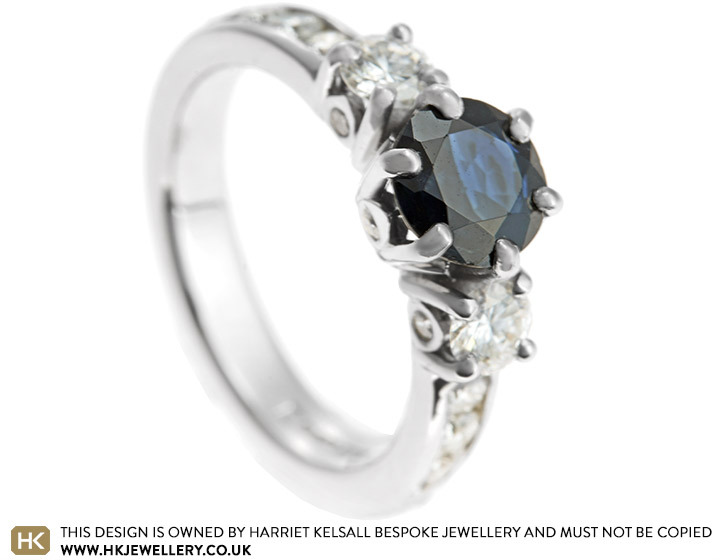 On the side of the setting are three smaller more hidden diamonds, ensuring that Lisa's perfect ring looks stunning from every angle. 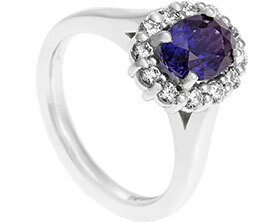 This sparkly look is completed with a polish finish for that final touch of shine!